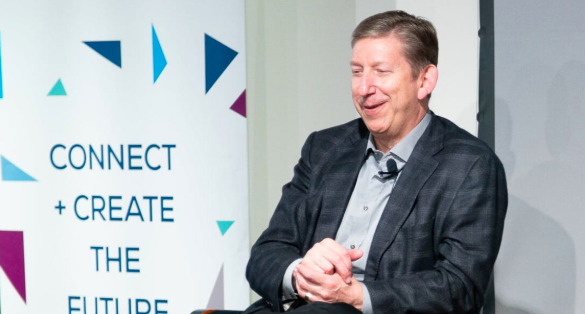 Earlier this month, Welltok CEO Jeff Margolis joined Matter at Tales from the Trenches™ to share the wisdom he’s gained from a 30-year career building some of the nation’s largest and most innovative technology and service organizations. “We know that 70 percent of what drives health has nothing to do with quality medical care or your genetics. We know that people spend well under one percent of their time in a clinical setting…In fact, they spend less than one-tenth of their time in one. What we’re doing is asking what platform could aggregate all of the direct consumer-facing resources so that — instead of just fixing you when you’re sick — it helps you achieve and sustain your best health. “I was taught this concept in Judaism — Tikkun Olam — which means ‘repairing the world.’ And so I grew up with a course of values that said there’s something a lot more important than me. You can leave [behind] big buildings and things with your name on them, but what you can really do that might matter is make the world a better place for the generations to come. Original article appeared on Matter on 3/20/2019. Welltok is a data-driven, enterprise SaaS company that delivers the healthcare industry's leading consumer activation platform. Welltok’s solutions empower leading health plans, employers, providers and public entities to connect consumers with personalized health improvement resources, making it easy and rewarding for consumers to complete actions that optimize their health and wellbeing. Only Welltok leverages a machine-learning, multi-channel approach proven to help innovative organizations power growth and retention initiatives, improve healthcare value, and streamline the consumer experience, while upholding the highest security and compliance standards. Copyright © 2019 Welltok, Inc. All rights reserved.